Details are still beginning to trickle out, but it seems that California metalcore outfit the Ghost Inside have been involved in a fatal highway acident while travelling between Texas and Arizona. Although the band haven't confirmed any of the specifics, reports have been swirling around social media and news websites. It seems that the accident took place on US 62/180, a highway near El Paso, TX. The band's bus reportedly collided with an 18-wheeler. UPDATE (11/19, 7:50 p.m.): The Ghost inside have now shared an official statement via Facebook regarding the crash. It reads: "Thanks to everyone who reached out with concern today. 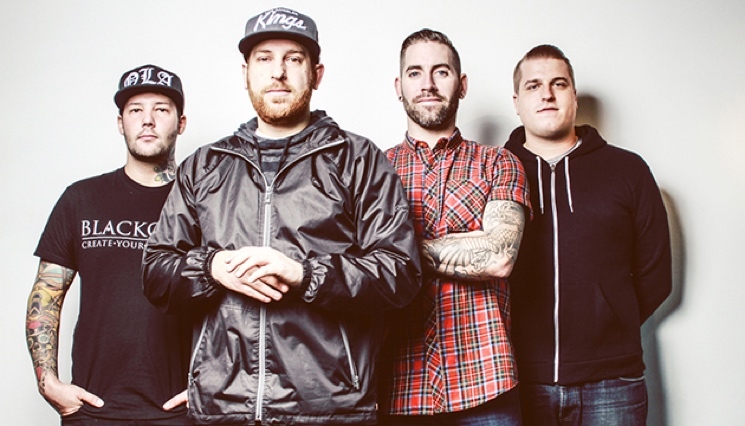 The Ghost Inside was involved in a serious bus accident outside El Paso, TX this morning. All 5 band members + all members of the crew are alive and currently being treated for their injuries. Please keep them in your thoughts as well as their bus driver and those in the other vehicle who did not make it. Unfortunately, all US shows on the Locals Only Tour are cancelled. Refunds available at point of purchase. We will update you more when we can." UPDATE (11/20, 1:30 p.m.): Despite reports stating that several of the band members are in critical condition, Ghost Inside bassist Jim Riley has stated that is not the case. On his personal Facebook page [via Alternative Press], he wrote, "I've seen news reporting that some of the guys are in critical condition so I'd like to clarify a little bit. Tim and I were at the hospital last night and spoke extensively with each of the guys nurses. They are all in very stable condition and their families are arriving today to be with them. They still very much need your love and support." Meanwhile, a Gofundme page has been launched in support of the band. So far it has raised over $42,000 US as of press time, with Bring Me the Horizon notably contributing $10,000. TGI + crew are alive. I just spoke to @SpartaDTD from his ambulance. This is fucked up. I'm told by @DSummersPhoto the band @theghostinside was involved in crash. Ten band/crew members injured. Believed bus driver died says TST. Alternative Press confirmed with Dave Summers, tour manager for the Wonder Years, that the members of the Ghost Inside are all alive. It's not clear to what degree they were injured or how this will impact their future plans. Stay tuned for further updates as information emerges. The band's tour schedule, as it currently stands, can be seen here.